The back of Kelly’s baseball card would be mind-boggling, judging from the glimpses of his performances seen in The Bad News Bears and The Bad News Bears in Breaking Training. Here’s what we know from those glimpses: in the seven plate appearances shown in those films, Kelly homered three times, tripled, doubled, singled, and was intentionally walked. These results suggest that he may have actually been underselling himself when he tried to hit on a woman in Amanda’s dance class by saying that he was hitting .841. Player of the week, player of the year, player of all recorded time. Special thanks to nunyer for creating Kelly’s card. Without the ciggerate he hit only .256. Even while riding on his motorcycle he hit .357. 1) First of all, my heartiest congratulations to every member of your family, Josh. You have taken an enormous step of courage into parenthood, and your bravery (as well as that of the lovely Mrs Josh) will be rewarded a thousand-fold. Plus, a new generation of Wilker? Well done, sir. 2) When Barry Bonds was tearing up history just a few seasons ago, people from work would ask me as the resident “baseball guy” what it all meant. Was Bonds the best player ever? Well, I would respond, do you mean in MLB? Most likely, he’s behind Ruth and Williams but for sure in elite company. Best baseball player ever, though? All of us who have pulled on stirrups are eating Kelly Leak’s dust. We still are. We always will. Statistics are as ever utterly compelling, but I know what I saw: there goes the greatest hitter that ever lived, and he could go get the ball, too (calculate his UZR and get back to me, someone). 3) Is this the right time/place to talk about the book? I don’t want to ruin it for anyone silly enough not to have purchased it yet. Perhaps my next post can include a SPOILERS tag…? Hey, LSfP, I for one would love to hear your take on the book and the Bears, so please fire away whenever. Thanks! Josh, your fame is crossing oceans now: the September 2011 issue of Empire has a write-up of the Deep Focus series with kind words in particular for your volume. Deservedly so. 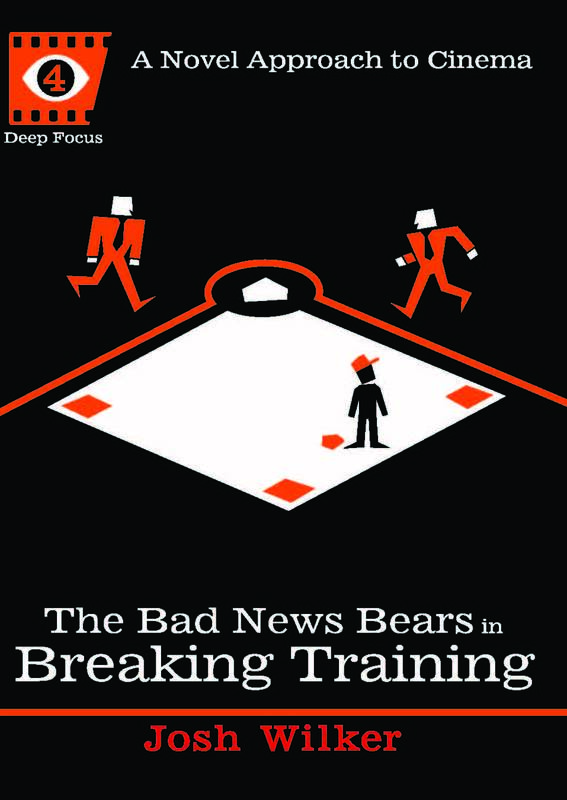 In all the words you have crafted in devotion of the Bears lo these many years, I didn’t realize until I read the book you had seen Breaking Training first, before the original; wow. It is indeed the perfect movie, then, for 10yo boys who love baseball and understand (if only vaguely) the value of sticking it to The Man. There’s lots to like in the book, but I keep coming back to your notion that Kelly Leak “grew up” to become Ronnie McGorvey. When the casting was announced for Election (like Little Children, based on a Tom Perotta novel), I had my doubts. Matthew Broderick as Mister M? Why have him appear in an adult role at all, particularly one set in a high school… oh, THAT’S why. Ferris Bueller, the sassy car-less hero for a generation, was sentenced for his disrespect to The Man to the Sisyphus-ian purgatory of working in a high school and indeed witnessing first-hand what the post-70’s values he was mocking had produced. Tracy Flick is the son Roy Turner always wanted, a relentless steamroller dedicated to victory at any cost, and she is Mister M’s burden — and as I look out at the current crop of foaming-at-the-mouth politicians with no scruples beyond getting re-elected, Tracy Flick is now our burden. It is easy of course to fall into the trap of believing nothing (in this case, light projected onto a wall in a darkened room) means something. Somewhere, there are human beings named Jackie Earle Haley and Matthew Broderick, and they never were Kelly Leak and Ferris Bueller, and never will be Ronnie McGorvey and Jim McAllister. As a species, though, we like a narrative, and we prefer that facts suit that narrative. Statistical analysis of Kelly Leak and for that matter the Bears’ big push to force a playoff with the Yankees at all would expose those phenomena as highly unlikely, but their probability is besides the point. Or is it? Hubris was a crime in ancient Greece and it feels increasingly actionable today. Deviation of any kind must be punished, and the fates had something special in store for those who flip the bird at convention by, say, hitting .841 or cutting class with an excess of breezy charm. Comeuppance is the universal equalizer, or at least it should be. How else to sustain the almost eight billion hopeless causes that are the human condition? Like most everything in this finite existence of ours, we didn’t realize how good we had it in the 1970s until they were irretrievably gone. Sometimes, the simple ways really are best. As a like-aged peer, Josh, our simples are fossilized remains to today’s young people if they’re remembered at all. Your household has been newly graced with one of those young people, and I am intrigued to know just how much Kelly Leak is in him — and also just how much Kelly Leak polite society will allow him to express. Obviously, the details are none of my business; I work with college students and wonder every day about the diamonds formed by the pressures of the modern childhood… and of course about the flawed stones that mostly make up any group. Anyhow, your book captured that feeling of teetering middle-aged awareness better than anything I’ve read. Not merely a 70s nostalgia trip, your book salutes a cheap shabby movie that no one but us weirdos should have seen, never mind remembered almost 35 years after the fact. Thank you. I hope your new role as a parent (understanding its necessary and vital limitations upon unstructured free time) allows you to continue sharing your words with us, Josh. You might just have a knack for this writing racket, after all. Hey, just go buy the book. It’s a great read and the perfect way to wait out those late-summer rain delays. You’re on your own with the movie, though.